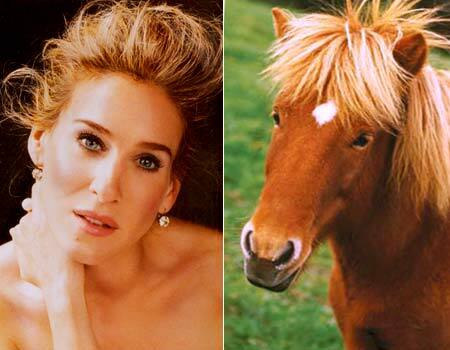 >Sarah Jessica Parker Looks Like A Horse! It’s funny for the horsey sound if nothing else! Listen to the commentary. Made me laughing. >When your words might matter…. >There’s a lot of buzz here in the Belgian blogosphere and mainstream media about an incident involving a New York-based blogger, who was fired from her job as a bartender after publishing a post on the bar visit of a Belgian politician. >Its inventive, you’ve gotta say. The two men, George Wills and Robert Catalano, had been selling the device – known as the Whizzinator – over the internet for three years. The device was sold with a heating element and fake urine to help people test negative for illegal substances. They could face up to eight years in prison and a $500,000 (£334,000) fine. >Global Trends 2025, a new report written by the US National Intelligence Council (NIC) ahead of President-elect Barack Obama’s inauguration, envisages a future world marked by diminished US power, dwindling resources, and more people. The NIC, an independent government body, emphasises that its report is not about “crystal-ball gazing” but offers a range of potential futures, including the following key trends. It will retain its considerable military advantages, but scientific and technological advances; the use of “irregular warfare tactics” by others; the proliferation of long-range precision weapons; and the growing use of cyber warfare attacks “increasingly will constrict US freedom of action”. The US will still have a role to play as a “much-needed regional balancer” in the Middle East and Asia, despite the recent rise in anti-Americanism. US policy is likely to be strongly determined by internal developments in a number of key states, particularly China and Russia. The current trend of global wealth and economic power shifting roughly from West to East, described as “without precedent in modern history”, will continue. Brazil, Russia, China and India are picked as countries which might benefit, boosted by rising oil and commodity price rises that have generated windfall profits for the Gulf states and Russia, as well as a shift in manufacturing and some service industries to Asia. No other countries are projected to rise to the level of China, India, or Russia, and none is likely to match their individual global clout. China is poised to have more impact on the world over the next two decades than any other country. If current trends persist, by 2025 China will have the world’s second largest economy and its military will play an increasingly important role. Terrorism is unlikely to disappear by 2025, but its appeal could diminish if economic growth continues and youth unemployment is mitigated in the Middle East. Terrorist groups in 2025 are likely to be a combination of descendants of long-established groups and newly emergent collections of “the angry and disenfranchised that become self-radicalised”. One of the greatest concerns continues to be that terrorists will use biological agents, or less likely, a nuclear device, to cause mass casualties. However, al-Qaeda could decay “sooner than people think” due to the group’s growing unpopularity in the Muslim world. The risk of nuclear weapon use over the next 20 years, although remaining very low, is likely to be greater than it is in today. Ongoing low-intensity clashes between India and Pakistan could lead to broader conflict. The possibility of regime change or collapse in a nuclear weapon state such as North Korea raises questions regarding the ability of weak states to control and secure their nuclear arsenals. It is not inevitable that Iran will acquire nuclear weapons, but “other countries’ worries” about a nuclear-armed Iran could lead them to develop new security arrangements, including getting nuclear weapons themselves. Significant geopolitical changes could happen as a result, with some states seeking security alliances with existing nuclear powers and others pushing for global nuclear disarmament. The World Bank estimates that demand for food will rise by 50% by 2030, as a result of growing world population, rising affluence, and the shift to Western dietary preferences by a larger middle class. The number of countries which lack access to stable water supplies will rise from 21, with a combined population of 600 million, to 36 countries by 2025 – affecting 1.4 billion people. With water becoming more scarce in Asia and the Middle East, co-operation on managing changing water resources is likely to become more difficult within and between states. If world leaders decide that access to energy resources is essential for domestic stability, then, in the worst case, conflict between countries could break out. Sub-Saharan Africa will remain the region most vulnerable to economic disruption, population stresses, civil conflict, and political instability. The region will be a major supplier of the commodities needed to meet increased global demand, but local populations are unlikely to benefit economically. Instead, corrupt or ill-equipped governments could reap the profits. The emergence of a novel, highly transmissible, and virulent human respiratory illness for which there are no adequate countermeasures could initiate a global pandemic. If such a disease emerges, internal and cross-border tension will become more likely as nations struggle to control the movement of populations fleeing infection or wanting access to resources. Experts consider highly pathogenic avian influenza (HPAI) strains, such as H5N1, as having the potential to develop, but other pathogens, such as the Sars coronavirus or other influenza strains, could also emerge. The most likely starting point for a pandemic would be somewhere with a lot of people and close association with animals – such as many parts of China and South-East Asia. In the worst case, “tens to hundreds of millions of Americans within the US Homeland would become ill and deaths would mount into the tens of millions”. Globally, approximately a third of world’s population would become ill and hundreds of millions die. The transition from old fuels to new will be slow, as will the development of new technologies which present viable alternatives to fossil fuels or help eliminate food and water problems. All current technologies are inadequate and new ones will probably not be commercially viable and widespread by 2025. >Reminds me of an under 21 game. Smallest and weakest German side I have seen. They have nothing creative in their team. Effenberg was the last creative player. That was 10 years. They made Stuart Downing look world class. Pathetic stuff. This England side is far better than the Germans. And its a B-side England team. And the Danes should keep their bacon. They lost to Wales.